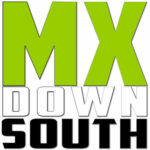 The KOTH Series made a round through North Mississippi this past weekend at MX886. Â Eddie had the track in excellent shape this weekend, but mother nature decided to bring the rain Sunday afternoon and cut the racing a little short. Â This weekend KOTH heads to Hidden Valley for Round 8. KOTH training session will be following practice. Please remember the track during this time is only for the training session. No other bikes allowed on the track to practice during this time. Please be respectful of the ones trying to learn and listen. Following practice you will have the Worship Service and then Riders Meeting at the bleachers. Abernathy’s will be giving away gift certificates to the 1st place riders in all clases on Yamaha or Honda!! Best Western and Days Inn are located in Covington, TN about 10 miles from track.